"And now my son, Shiblon, I would that ye should remember, that as much as ye shall put your trust in God even so much ye shall be delivered out of your trials, and your troubles, and your afflictions, and ye shall be lifted up at the last day." 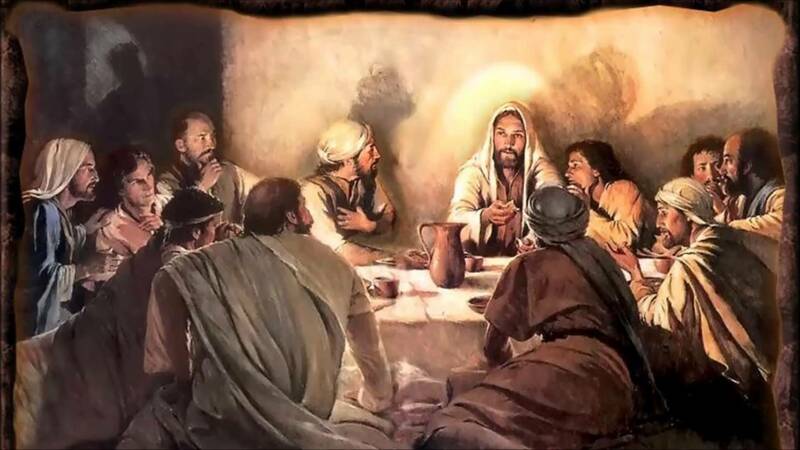 Although it is unknown how early this particular practice began, the feast of Passover was always celebrated as an important time for family gatherings, eating of the pascal lamb, and remembering the traditional texts associated with God’s deliverance of Israel from servitude in Egypt. Furthermore, it is important to note that scholars understand this Passover ceremony to be developed over time from earlier wisdom traditions.2 It is possible that Alma’s exhortation to his sons could have thematically descended from early strains of these same interweaving wisdom traditions. The second was a wicked son, who quoted from Exodus, asking: “What mean ye by this service?” (Exodus 12:26). Although it is uncertain if Alma’s exhortation to his sons directly coincided with the Nephite observance of the Passover, the method and content of his instruction is certainly reminiscent of its themes, including suffering in captivity and affliction, crying for deliverance, the appearance of a powerful angel, and deliverance from darkness and bitter pains.11 The timing is also appropriate: just as Israelites returned home to celebrate the Passover, and Alma and his missionary team had just returned to Zarahelma, having completed their efforts to bring the Zoramites in Antionum back to the faith (Alma 35:14). The Passover tradition was intended to help Israel remember the Lord’s hand in leading them out of Egyptian oppression. Likewise, Alma’s words to his sons were filled with exhortations to remember sacred things. For example, Alma’s chiastic13 discourse to Helaman began precisely with the very admonition to “do as I have done, in remembering the captivity of our fathers” (Alma 36:2) and ended similarly by reaffirming that Alma had “always retained in remembrance their captivity” (v. 29). In this context, Alma even specifically mentioned the Israelite exodus when stating, “I will praise him forever, for he has brought our fathers out of Egypt” (v. 28). Alma’s words and commandments to his sons were thus highly suitable for the time of Passover. Speaking on such an occasion would only have enhanced the serious momentousness of that occasion. Like Alma’s sons, modern members of the house of Israel of all kinds have a duty to “always retain in remembrance” the hand of the Lord in their own divine deliverance (Alma 36:29). Gordon C. Thomasson and John W. Welch, “The Sons of the Passover,” in Reexploring the Book of Mormon: A Decade of New Research, (Provo UT: FARMS, 1992), 196–198. Fred O. Francis, “The Baraita of the Four Sons,” Journal of the American Academy of Religion 42, no. 2 (1974): 280–297. 1. Gordon C. Thomasson and John W. Welch, “The Sons of the Passover,” in Reexploring the Book of Mormon: A Decade of New Research, ed. John W. Welch (Salt Lake City and Provo UT: Deseret Book and FARMS, 1992), 196. 2. Fred O. Francis, “The Baraita of the Four Sons,” Journal of the American Academy of Religion 42, no. 2 (1974): 290: “We are inclined to believe that the three versions which have come down to us interweave a multitude of allied wisdom traditions into a few strands. … Though the possibility of an “original text” is always intriguing, we take the three versions to be representatives of a broad wisdom tradition—broader than they themselves indicate.” Francis, “The Baraita of the Four Sons,” 280–297 provides a brief overview and then a side-by-side comparison of the three extant texts which have stemmed from these traditions. It should be noted that most Passover traditions include four sons, but only three of them ask questions. For the rationale of there being four sons (rather than two or three), see Francis, “Baraita of Four Sons,” 291–292. 3. See Martin Sicker, A Passover Seder Companion and Analytic Introduction to the Haggadah (New York: iUniverse, 2004), 55–64¬ for an interpretive analysis of this ceremony as found in the Jewish Haggadah. 4. Whatever Alma himself thought of Helaman’s worthiness or righteousness, he told Helaman “that God has entrusted you with these sacred things” (Alma 37:14). In other words, this wasn’t just about a father choosing his favorite son, but rather is an example of the Lord choosing who will succeed the presiding prophet. Interestingly, although Helaman was chosen as the new spiritual leader of the church, Alma did not explicitly praise him for his righteousness, as he did for Shiblon. In fact, his words to Helaman were strictly filled with exhortations and warnings. See the following examples: “give ear to my words” (Alma 36:1), “ye should do as I have done” (v. 2), “I beseech of thee that thou wilt hear my words” (v. 3), “ye ought to know as I do know” (v. 30), “I command you that ye take the records” (Alma 37:1), “I also command thee to keep a record of this people” (v. 2), “keep all these things sacred” (v. 2), “ye may suppose that this is foolishness in me; but … (v. 6), “O, remember, remember, my son Helaman, how strict are the commandments of God” (v. 13), “now remember, my son, that God has entrusted you with these things” (v. 14), “if ye transgress the commandments of God, behold, these things which are sacred shall be taken away from you” (v. 15), “But if ye keep the commandments … no power of earth or hell can take them from you” (v. 16), “Therefore I command you … that ye be diligent in fulfilling all my words” (v. 20), “I command you that you retain all their oaths” (v. 27), “Therefore ye shall keep these secret plans of their oaths and their covenants from this people” (v. 29), “And now, my son, remember the words which I have spoken unto you” (v. 32), “Preach unto them repentance, and faith” (v. 33), “Teach them to never be weary of good works” (v. 34), “O, remember, my son and learn wisdom in thy youth; yea learn in thy youth to keep the commandments of God” (v. 35), “cry unto God for all thy support” (v. 36), “counsel with the Lord in all thy doings” (v. 37), “I would that you should understand” (v. 43), “O my son, do not let us be slothful” (v. 46), “see that ye take care of these sacred things” (v. 47). 5. Thomasson and Welch, “Sons of Passover,” 197. 6. Thomasson and Welch, “Sons of Passover,” 197. 7. Alma’s exhortation to Corianton comprises Alma 39–42. Although Alma initially rebuked (see Alma 39:1–7), Alma’s ultimate goal was to help his son repent and “let these things trouble [him] no more” (Alma 42:29). See also, Book of Mormon Central, “Why Was Corianton’s Sin So Serious? (Alma 39:5),” KnoWhy 147 (July 18, 2016). 8. Thomasson and Welch, “Sons of Passover,” 197. 9. Shiblon, in contrast to Helaman, was given several affirmations of his righteousness: “And now, my son, I trust that I shall have great joy in you, because of your steadiness and your faithfulness unto God; for as you have commenced in your youth to look to the Lord your God, even so I hope that you will continue in keeping his commandments … I have had great joy in thee already, because of thy faithfulness and thy diligence, and thy patience and thy long-suffering among the people of the Zoramites. For I know that thou wast in bonds; yea, and I also know that thou wast stoned for the word’s sake; and thou didst bear all these things with patience because the Lord was with thee; and now thou knowest that the Lord did deliver thee” (Alma 38:2–4). It is possible that Alma wanted to reassure Shiblon that his comparative lack of responsibility was not a sign of unworthiness. Even though he wasn’t chosen to lead the church or take charge of the sacred records, Shiblon was certainly a good and honorable son. 10. See Alma 38:11–14. These warnings to Shiblon can be contrasted with Helaman, who despite having been strictly commissioned and commanded to fulfill his charge (see footnote 5), was not quite as explicitly or directly warned against sin. 12. For example, John W. Welch, “A Masterpiece: Alma 36,” in Rediscovering the Book of Mormon: Insights You May Have Missed Before, ed. John L. Sorenson and Melvin J. Thorne (Salt Lake City and Provo, UT: Deseret Book and FARMS, 1991), 114–131. It is noteworthy that Alma spoke to Helaman using a doubled chiastic structure in Alma 36, while he gave to Shiblon only the first half of his conversion account in Alma 38, perhaps because Helaman was the firstborn son entitled to inherit a double portion of the father’s estate. To view Alma’s sermons formatted into poetic parallels, see Donald W. Parry, Poetic Parallelisms in the Book of Mormon: The Complete Text Reformatted (Provo, UT: Neal A. Maxwell Institute for Religious Scholarship, 2007), 318–336. For a literary evaluation of Alma’s rehearsal of his conversion, see Grant Hardy, Understanding the Book of Mormon: A Reader’s Guide (New York, NY: Oxford University Press, 2010), 137–142. 13. See Book of Mormon Central, “Why was Alma Converted? (Alma 36:21),” KnoWhy 144 (July 15, 2016). Welch, “A Masterpiece,” 114–131; John W. Welch, “Chiasmus in the Book of Mormon,” in Book of Mormon Authorship: New Light on Ancient Origins, ed. Noel B. Reynolds (Provo, UT: Religious Studies Center, Brigham Young University, 1982), 33–52; John W. Welch, “Criteria for Identifying and Evaluating the Presence of Chiasmus,” Journal of Book of Mormon Studies 4, no. 2 (1995): 1–14. 14. See George S. Tate, “The Typology of the Exodus Pattern in the Book of Mormon,” in Literature of Belief: Sacred Scripture and Religious Experience, ed. Neal E. Lambert (Provo, UT: Religious Studies Center, Brigham Young University, 1981), 245–262; S. Kent Brown, “The Exodus Pattern in the Book of Mormon,” in From Jerusalem to Zarahemla: Literary and Historical Studies of the Book of Mormon (Provo, UT: Religious Studies Center, Brigham Young University, 1998), 75–98. 15. Russel M. Nelson, “The Exodus Repeated,” Ensign, July 1999, at lds.org.